Ricky Trimiar, age 60 of Demorest, Georgia went home to be with the Lord on Friday, November 02, 2018 at the Northeast Georgia Medical Center. 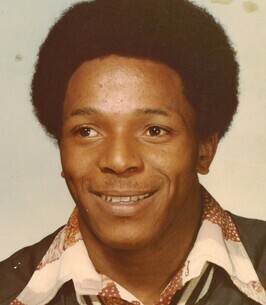 Born in Demorest, Georgia on May 04, 1958, he was a son of the late T.J. Trimiar & Pearlie Bell Chavers. Ricky was a graduate of Habersham Central High School, Class of 1977 and was an avid sports enthusiast who enjoyed the Soul Squad, shooting pool, watching TV Land, & listening to old school music. Most of all, he loved his children and grandchildren. Ricky was a member of the Ebenezer Baptist Church. In addition to his parents, he was preceded in death by his daughter, Kendra Antionette Trimiar and by an uncle, Robert Cole. Ricky leaves behind to cherish his memory, wife, Lizzie Hardin Trimiar of Clarkesville, GA; children, Roderick & Lindsey Trimiar of Soddy Daisy, TN; Tinisha Combs (Rico) of Cornelia, GA; Seanrick Trimiar of Clarkesville, GA; Shemekia Trimiar (Sam) of Demorest, GA; brothers & sisters-in-law, Bernard & Sandy Trimiar of Clarkesville, GA; J.L. & Betty Browner of Baldwin, GA; Bobby & Ella Trimiar, Wash Trimiar, all of Cornelia, GA; grandchildren, Kenley & Bailey Gaddis, Alexis Trimiar, Jada Trimiar, Alivia Trimiar, Enzo Combs, Emyrie Combs, Story Trimiar, Clyce Trimiar; Aunts, Christine Cole of Mt. Airy, GA; Carolyn Trimiar, Teresa Berry, Elizabeth Trimiar, all of Cornelia, GA; Patricia & Larry Nicely of Clarkesville, GA; Lillie Mae Cleveland of Atlanta, GA; several nieces, nephews, other relatives & friends. Homegoing services will be held at 2:00 p.m. Wednesday, November 07, 2018 at Ebenezer Baptist Church with the Rev. Dr. Oliver Dorsey, Senior Pastor officiating. Interment will follow in the Level Grove Cemetery. Mr. Trimiar will lie in state at the church from 12:00 Noon until the service hour on Wednesday.